This week we are so excited to welcome legendary promoter, broadcaster, wrestling manager, and AUTHOR Joel Goodhart (ECWA’s Joel Blackhart) as he steps IN THE ROOM for his second one-on-one interview! 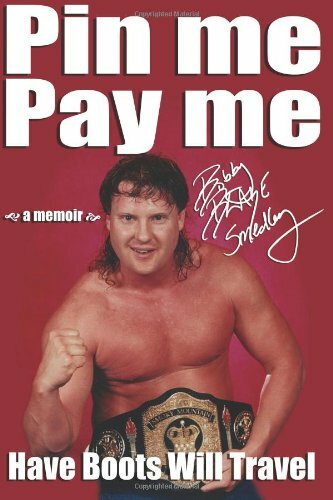 Check it out as Joel talks about the realities of promoting wrestling, both today and years ago; what is missing from the current product; the Tri-State Wrestling Alliance being the fore-runner to ECW; working with legends Ric Flair and Bruno Sammartino; ECWA’s stars; and his upcoming book! Plus, Brady Hicks (Pro Wrestling Illustrated), The Stro (World Championship Wrestling), Kathie Fitz, Derrick McDonald, Matt Grimm, and Steve Anderson (Total Wrestling) talk about issues with WWE Raw; Xavier Woods coming after fans; plans for WrestleMania and a possible women’s main event; and Alexa Bliss being cleared to return to the ring! Plus, open phone lines for two full hours and so … much … more! Thanks, as always, for the support. Thoughts and prayers to the Wildman family … our family!